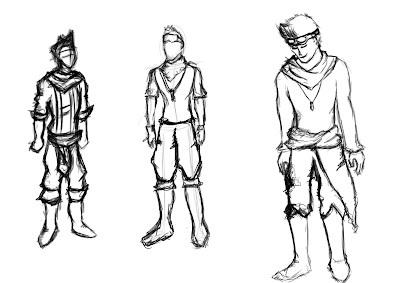 Here are some more clothing designs of the hero trying to figure out which ones look the best. 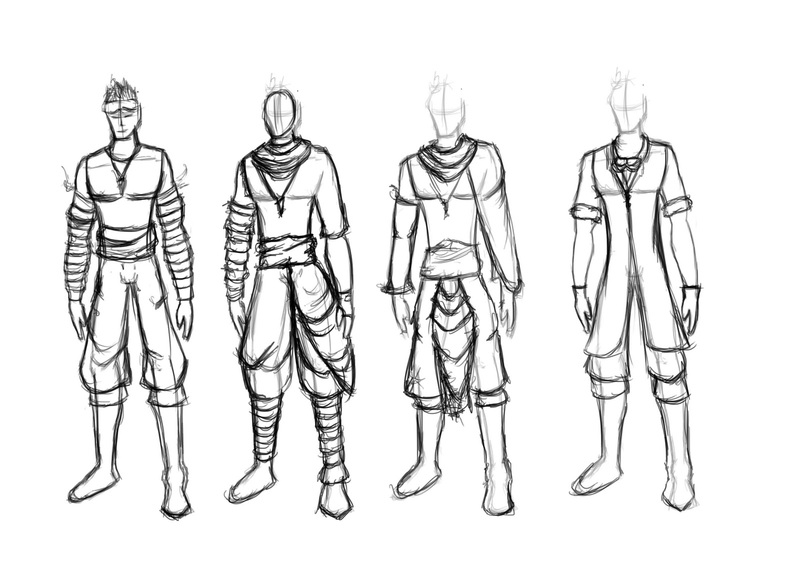 Trying to get a mix of sky pirate with a hint of orphan. 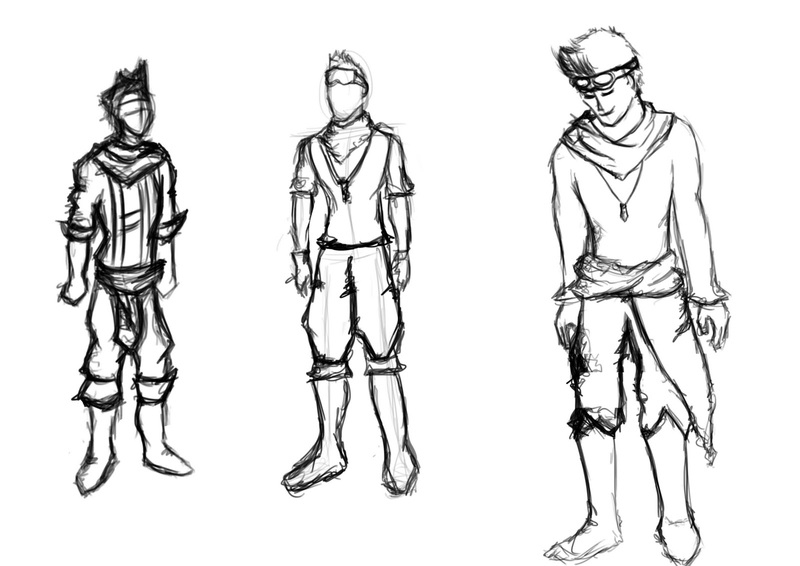 Hero has a muscular but atheltic build in terms of the design being influenced by Prince of Persia, Sky Pirates of Neo Terra and Skies of arcadia.